I've talked before about the fact that pro wrestling loves to give back. We've seen it on the national stage with WWE and their partnerships with the Susan G. Komen For the Cure, Make a Wish and Special Olympics. But that's a multimillion dollar company. Smaller indy companies are also quite generous. 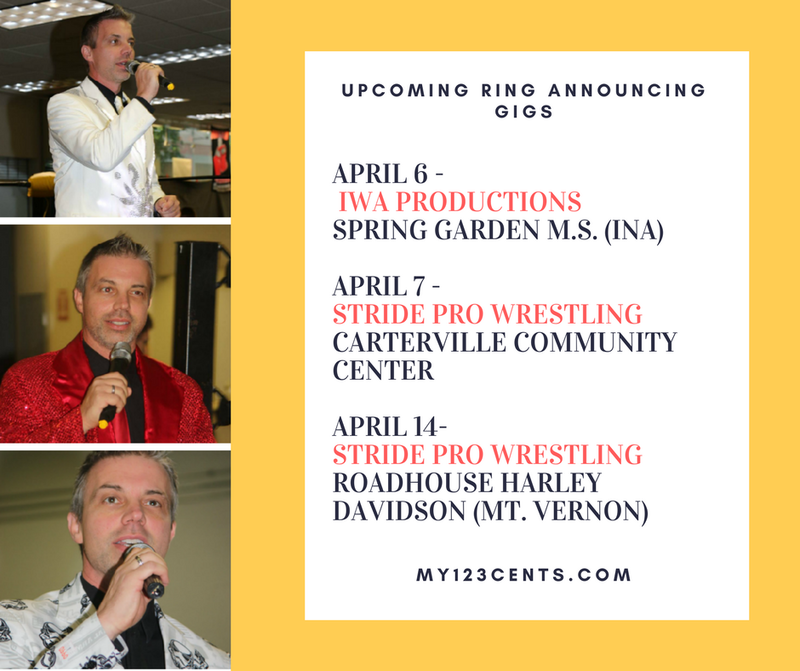 Horn tooting time as I am working with Stride Pro Wrestling on several upcoming benefit shows. In fact, we're partnering with IWA-Productions for an event Friday night (April 6) in Ina. That show is a fundraiser for Spring Garden Middle School. 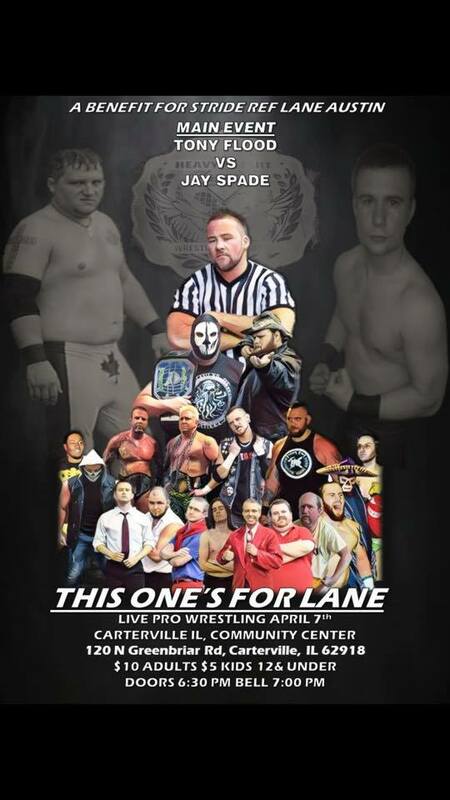 The next night, we're gearing up to raise money for our favorite referee Lane Austin. That show is at 7 p.m. at Carterville Community Center. Lane is dealing with complications from Type 1 Diabetes and the money raised will go toward his medical bills. 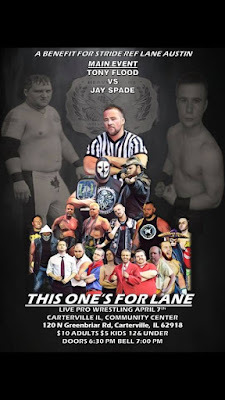 A week later, on Saturday, April 14 Stride Pro Wrestling heads to Mt. Vernon. Roadhouse Harley Davidson hosts this fundraiser which is for YouthBuild, a program that helps students in Jefferson and Marion Counties of southern Illinois. James Ellsworth will be the special guest that night and will be wrestling. So far though, an opponent has not been named. May 5 is Cinco de Mayo and we're having festivities of our own. Stride's best and brightest will be in the ring to support a Marion youth softball team. The location for that show is to be determined. Later in the month, Saturday, May 26, it's Stride Goes Steel in the 'Ville as each match will be held inside a steel cage. That show is at Pinckneyville High School and is a fundraiser for the football team and the education foundation. 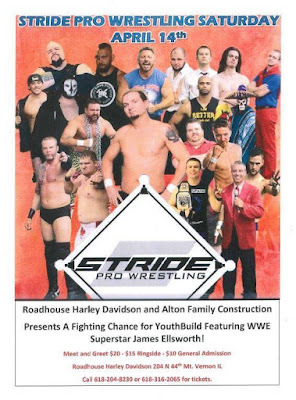 Matches have not been announced yet, but that evening will be a HUGE one for Stride. It's Memorial Day weekend, so mark your calendar now. Plenty more events are planned for the summer months. 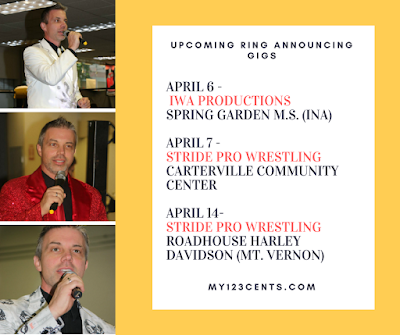 No official details are being released at this time, but stick around here and on the Stride Pro Wrestling social media pages.